Another Newfoundland fish plant has been lost to fire. The Hickey & Sons Fisheries Ltd. fish plant in St. Mary’s Bay was destroyed by an October 26 massive blaze. The plant was a total write-off. Between 80 and 100 people work at the plant. It processed lobster, mussels, groundfish, whelk, scallops and pelagic fish, like capelin. Hickey & Sons Fisheries co-owner Craig Hickey told CBC the plant was insured and that the company plans on rebuilding. Workers affected by the massive fire that destroyed the fish plant in O’Donnell’s, St. Mary’s Bay will receive help to qualify for Employment Assistance, says the provincial fisheries minister. “We as a government will be there to assist, to ensure that this year they get those hours and they successfully complete their requirements for Employment Insurance eligibility,” Gerry Byrne told CBC Radio’s The Broadcast. The Grand Manan Fishermen’s Association and Department of Fisheries and Oceans (DFO) recently reached an agreement to introduce a series of measures to reduce the amount of rope in the water in order to reduce whale encounters. Fishermen from the island have agreed to cut off the trailing buoy on each line, or trawl, of traps as soon as possible when a whale is reported. They will also replace 120 feet of the trailing line with smaller, 3/8-inch rope that will break away if a whale is entangled. A maximum distance will also be established between traps on a trawl. 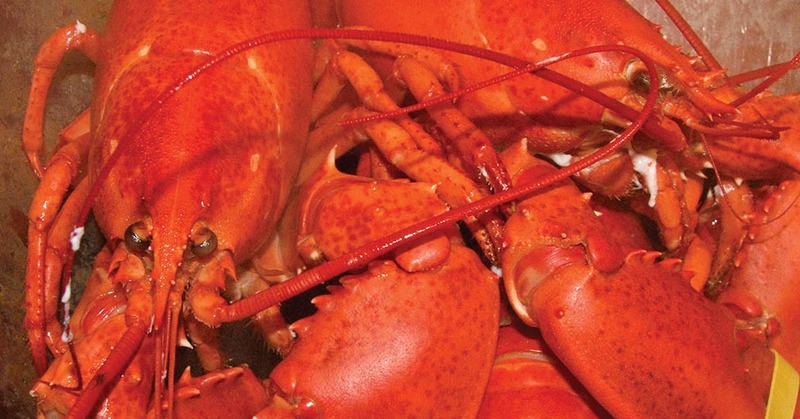 The fall lobster season on the Bay of Fundy opened Nov. 13. The Grand Manan association is also participating in a DFO trial involving what’s known as acoustic release gear where there are no buoys or rope on the surface of the water. AquaBounty Technologies recently announced that the company’s Canadian subsidiary has received a $2-million construction loan from the Prince Edward Island Department of Economic Development. The proceeds of the loan will be used to complete construction of the company’s 250-metric tonne production facility at its Rollo Bay, P.E.I. site. The Rollo Bay site, which includes an R&D hatchery, is currently undergoing construction of a 250-metric tonne production facility and a broodstock facility. Once complete, 20-30 technical jobs are expected to be added to AquaBounty’s operation. In addition, this development project has provided economic benefits to the local economy through the hiring of building contractors, electricians, plumbers and suppliers involved in the construction activities. 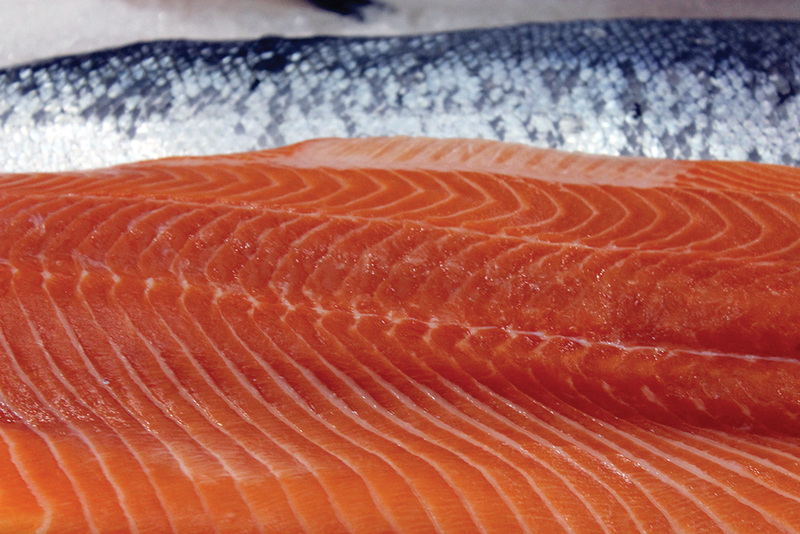 AquAdvantage Atlantic salmon have been bioengineered to grow to market size in about half the time of a traditional farmed Atlantic salmon. It significantly improves the economics of producing salmon in land-based contained facilities. 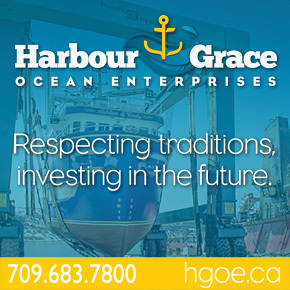 The Federation of Independent Sea Harvesters of Newfoundland and Labrador (FISH-NL) surpassed its goal of signing up 500 dues-paying inshore harvesters and will push forward with a convention this fall and second certification application in 2019. “Inshore harvesters have spoken — they’re serious about change,” says Ryan Cleary, President of FISH-NL. 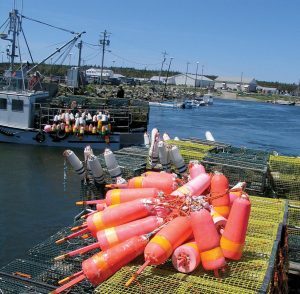 On Oct. 24, FISH-NL issued a news release to state it would only move forward with a convention this fall, and a second application for certification next year if a minimum of 500 harvesters signed on to pay dues of $24 a month. FISH-NL’s first application — which was dismissed by the province’s Labour Relations Board on Sept. 28 after a 21-month delay — was funded primarily through donations and two GoFundMe campaigns. “Inshore harvesters should give themselves a pat on the back for taking a stand and fighting back,” said Cleary. Federal Fisheries Minister Jonathan Wilkinson and Natan Obed, President of Inuit Tapiriit Kanatami (ITK) announced the creation of a stand-alone Arctic Region inclusive of the four regions of Inuit Nunangat. 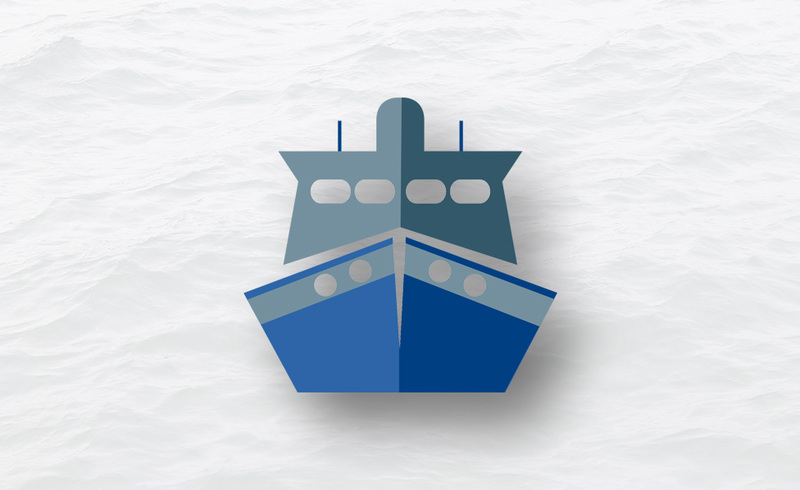 As the changing climate opens up this region to greater fishing, shipping, resource development and other interests, DFO and ITK want to ensure that Inuit and all Indigenous peoples, as well as residents of the North are at the centre of the department’s decision-making in the region. The creation of the Arctic Region will be implemented in phases and has already begun with the hiring of new DFO Regional Director General, Gabriel Nirlungayuk, who will be based in Rankin Inlet and a new Assistant Commissioner of the Coast Guard, Neil O’Rourke, who will be based in Yellowknife. They will both work with Inuit and all Indigenous peoples, as well as residents of the North to define the borders of the new Region and its activities. The new Region exemplifies DFO’s and the Canadian Coast Guard’s commitment to advancing reconciliation and pursuing a renewed relationship with Indigenous peoples, which is based on recognition of rights, respect, co-operation and partnership. It will enable DFO and the Coast Guard to work more closely with Inuit and all Indigenous leaders, Indigenous organizations, stakeholders and all residents of the Arctic on innovative approaches to program and service delivery. In mid-October, the National Oceanic and Atmospheric Administration (NOAA) confirmed the third North Atlantic right whale mortality of 2018. NOAA vessel Henry B. Bigelow reported a whale carcass floating approximately 100 miles east of Nantucket. Expert reviewed photographs of the carcass and determined it to be a sub-adult North Atlantic right whale. The first right whale death was recorded off Virginia in January. A necropsy showed that the cause of death of the whale, a female of reproducing age, was chronic entanglement. The second right whale death of 2018 was recorded in August off Tom’s Neck Point, Martha’s Vineyard, Massachusetts. An estimated 450 North Atlantic right whales remain in the world after a number of mortalities in 2017. A total of 17 North Atlantic right whales died in 2017 — 12 in Canadian waters and five in U.S. waters. Nova Scotia Fisheries and Aquaculture Minister Keith Colwell recently travelled to China to help promote business relationships in fisheries, aquaculture, agri-food and beverages. During this trip, the minister represented the premier at key events in Qingdao and Shanghai as part of the Atlantic Growth Strategy Trade Mission to China. Top Claw Lobster Seafood Company, Newellton, Shelburne Co.
Victoria Co-operative Fisheries, Neil’s Harbour, Victoria Co.
With the contraction of the Chinese lobster supply from the U.S., the supply from Canada has ballooned, according to Seafoodnews.com. In the past 12 months, Asian markets have received seafood from Halifax’s Stanfield International Airport on a weekly basis. And the lobster export has jumped by 63 per cent on average compared with the same period last year. Air Korea has provided cargo transportation service to Halifax for several years now. China’s cargo airline, Suparna Airlines, has also been a provider of such service to Halifax since 2017. This August, two more flights from Halifax to Changsha, China were added. Each can carry about 120 tonnes of seafood to China every time. According to Air Canada, apart from these cargo aircraft, it also has a plane to fly 20,000 kg or more of seafood from Halifax to Montreal every day. Moncton’s Romeo LeBlanc International Airport has also been quite occupied with its lobster delivery business recently. Although it only flies lobsters to China occasionally during Chinese festivals and other special days, Kalitta Air has also started cargo transportation directly from Moncton to Asia in August. Canada’s lobster exports to China have skyrocketed by 298 per cent from 2012 to 2016, while it sold 10,738 tonnes of lobsters worth U.S. $158.6 million in 2017. The Government of Nova Scotia and a leading Nova Scotia seafood exporter have been recognized for achieving commercial success in China. Clearwater Seafoods was given the gold award for outstanding e-commerce achievement at the Canada China Business Excellence Awards in Toronto, Wednesday, Oct. 3, while the Government of Nova Scotia received the outstanding achievement silver award for its marketing work in China, which includes the Nova Scotia Seafood brand. “Our trade with China has been on the rise in recent years and we are committed to pursuing opportunities that will benefit our economy and create more jobs for Nova Scotians,” said Premier Stephen McNeil. Seafood exports to China have increased significantly in recent years, from $14 million in 2009 to $387 million in 2017. Exports from Nova Scotia to China, the province’s second-largest trading partner, totalled $611 million in 2017, compared to $64 million in 2008. In April 2016, Nova Scotia introduced Partnering for Success: The Nova Scotia — China Engagement Strategy, aimed at enhancing the province’s relationship with one of the world’s fastest growing markets. No Replies to "On the Waterfront - December 2018"